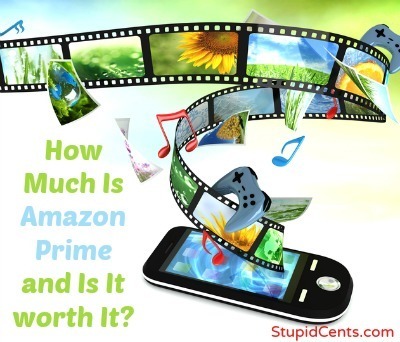 How Much Is Amazon Prime and Is It Worth It? One of the trends on the Internet is streaming. Access to movies and TV shows from your electronic devices is becoming almost a necessity these days. Among the services offering streaming is Amazon Prime. So, how much is Amazon Prime? And how does the cost compare to other services? Amazon Prime is charged at an annual rate of $79. When you break it down, it comes out to about $6.58 per month. For this cost, you get access to thousands of streaming movies and TV shows without additional cost, although there are some rentals that cost extra (between $1.99 and $5.99), it’s possible to access a number of shows and movies at a relatively low cost. So how does this compare to other services? The main streaming services that compete with Amazon are Hulu Plus and Netflix. Both of these services cost $7.99 per month. This is a little more than the per-month breakdown of Prime. However, you don’t usually get hit with an extra charge on some of the movies and TV shows through these other services. You pay your monthly fee, and you don’t have to worry that you will have to pay a per-episode cost later, or that certain HD rentals are going to cost $5.99. Each of these services has a lot of overlap in what is available for streaming, but there are differences. In many cases, it makes sense to pay for all three services in order to get maximum access to a mix of old and indie movies, original series, and new TV shows and new movies. Even after you pay for all three services ($22.56 total each month), it is often still cheaper than paying for cable or satellite. If you’re just looking for the streaming, Amazon Prime might not be worth it — especially if the additional costs that crop up for some of the TV shows and movies frustrate you. The real draw to Amazon Prime is the two-day shipping. With Amazon Prime, members get two-day shipping at no additional cost on items sold by Amazon. This is a perk for those who do a lot of shopping online. One of the frustrations that many people have with Amazon’s free “super saver” shipping is that there is a $25 minimum. What if you don’t want to buy $25 worth of stuff — and then wait an extra week or so for it to be delivered? With Amazon Prime, you get a faster shipping speed, and you aren’t subject to the minimum. If you buy enough stuff online and like to have the option to get your stuff faster,Amazon Prime’s cost is worth it for that alone. The only other perk is that you can borrow one free book a month from the digital lending library, which can be ok if you want to read something different, but aren’t sure if you want to buy it. It’s fairly easy to browse the library from a Kindle. What do you think? Do you use Amazon Prime? Is it worth it? Informative article. We use Amazon Prime for our business — and it’s wonderful. We do watch some of the shows, but also have Netflix (which we had before Prime) and they seem pretty much interchangeable. I didn’t even know about the book-lending, so thanks much for that info!